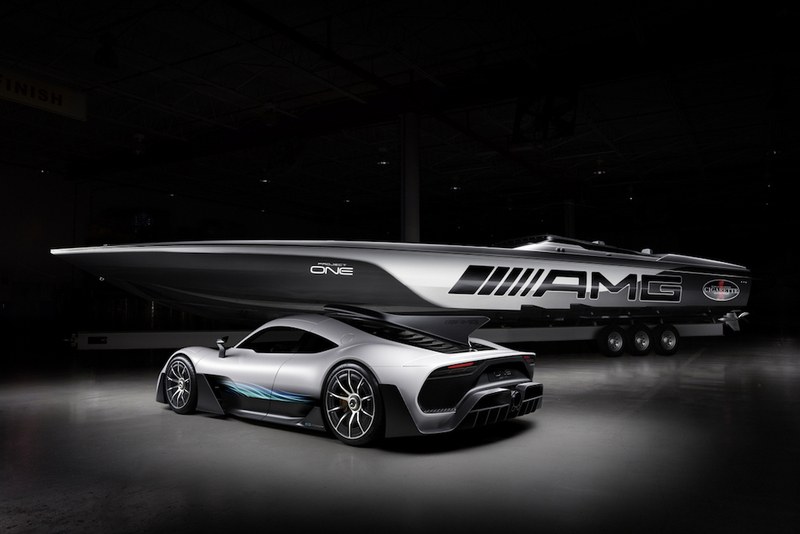 Mercedes-AMG and the Cigarette Racing team have pulled the wraps off their newest creation, the Cigarette Racing 515 Project One, a 51.5-foot-long racing boat inspired by the Affalterbach automaker’s Formula 1-derived hypercar. The unveiling took place at Cigarette Racing's headquarters in Miami, Florida, in the midst of the allure and glamour of the 2018 Miami Boat Show. 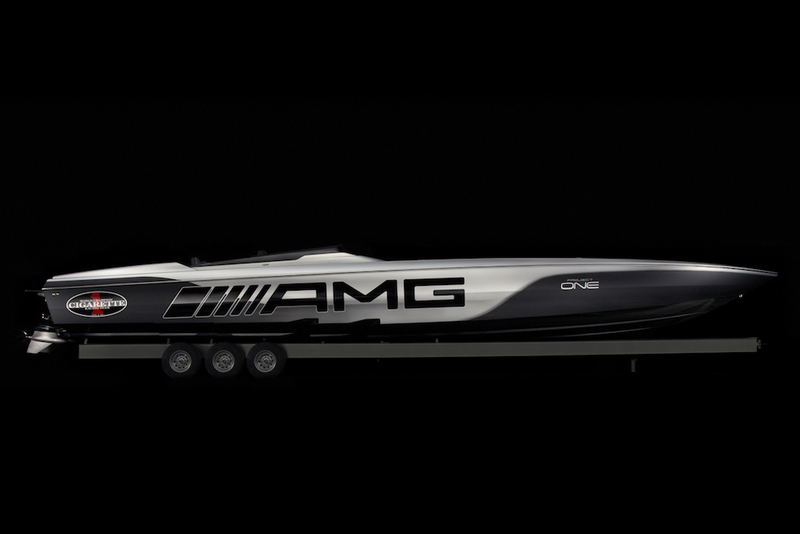 The new iteration of Mercedes-AMG's yearly watercraft project is based on a 50-foot Marauder high-speed boat, but essentially, that's where the similarities end. The 515 Project One offers 30 percent greater surface area than its stock counterpart which allows six passengers to comfortably occupy the Dinamica-wrapped seats held in place by carbon fiber shells. While the 11-year partnership between the two performance powerhouses has delivered equally powerful watercraft, the 515 Project One is among the lightest they've ever produced, weighing over 5,000-pounds less than a longer/wider cigarette boat. For example, the engine's air intakes, which are seven foot long and 14 inches wide, weigh a staggering 4.4 pounds. Most of the weight savings were accomplished by utilizing Kevlar and carbon fiber in areas like the bulkheads, cabin liner, engine hatch, consoles and storage hatches. 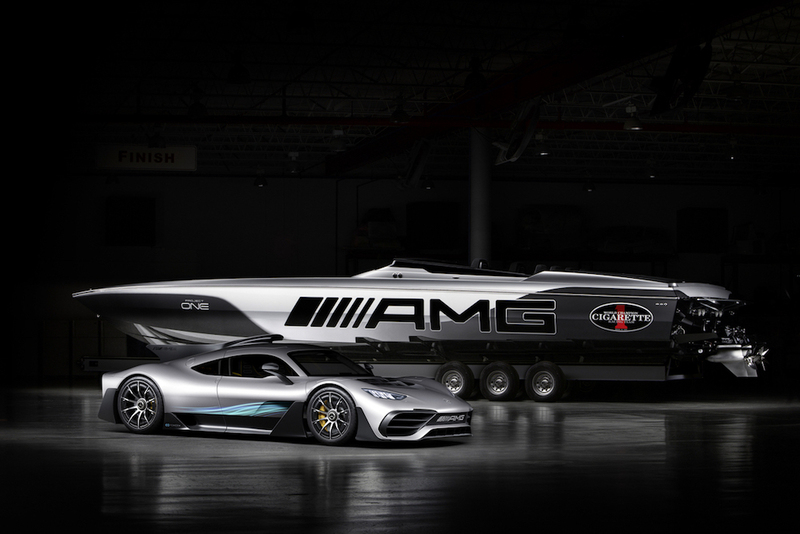 "For 11 years, Cigarette Racing has been our trusted partner that has allowed us to extend our likeminded core performance principles from the land to the water," said Tobias Moers, Chairman of the Board of Management of Mercedes AMG GmbH. "By directly translating Formula 1 technology from the track to the street, the Mercedes-AMG Project ONE is our most ambitious and awe-inspiring vehicle yet. It is incredible to see our vision reimagined for the water in such an impressive and highly compelling form." 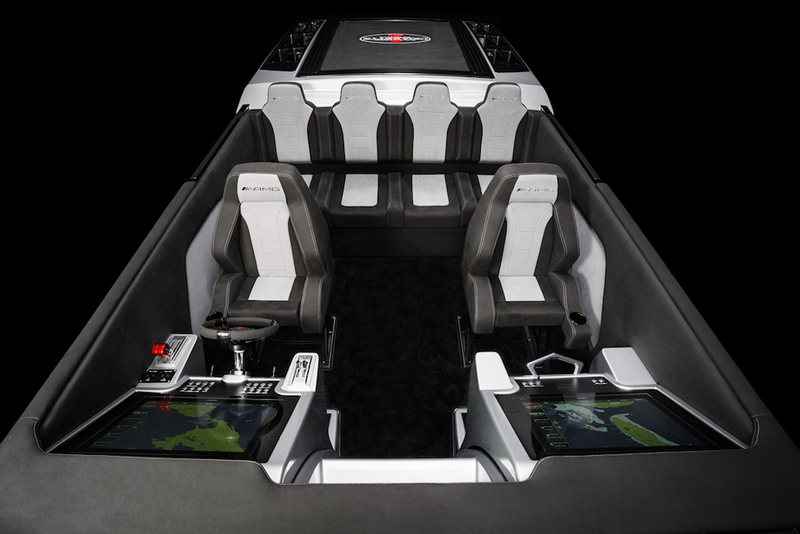 Just because it isn't the most powerful boat the two companies have created doesn't mean it's underpowered by any means. 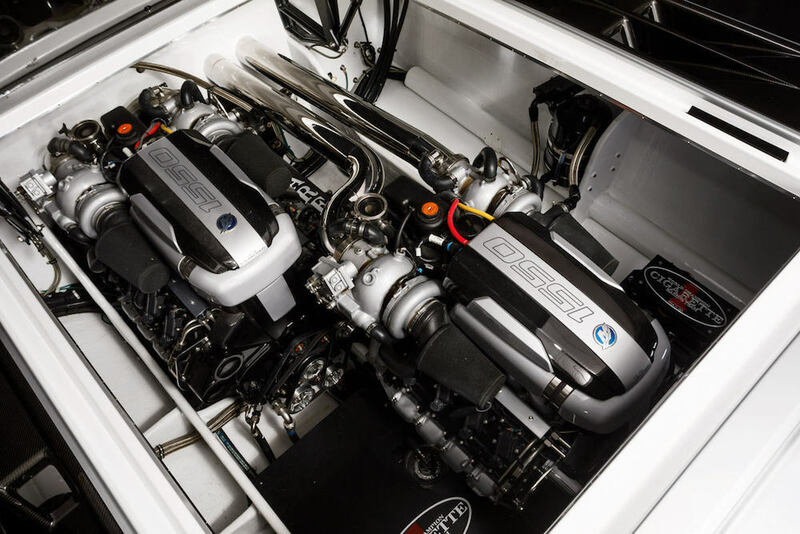 The 515 Project One is propelled by two Mercury Racing 1,550-horsepower quad-cam engines and M8 stern drives, which produce a total of 3,100 horsepower and deliver a top speed of 140 miles per hour. In comparison, the Mercedes-AMG Project One road car will produce over 1,000 horsepower and reach a top speed of 217 miles per hour. 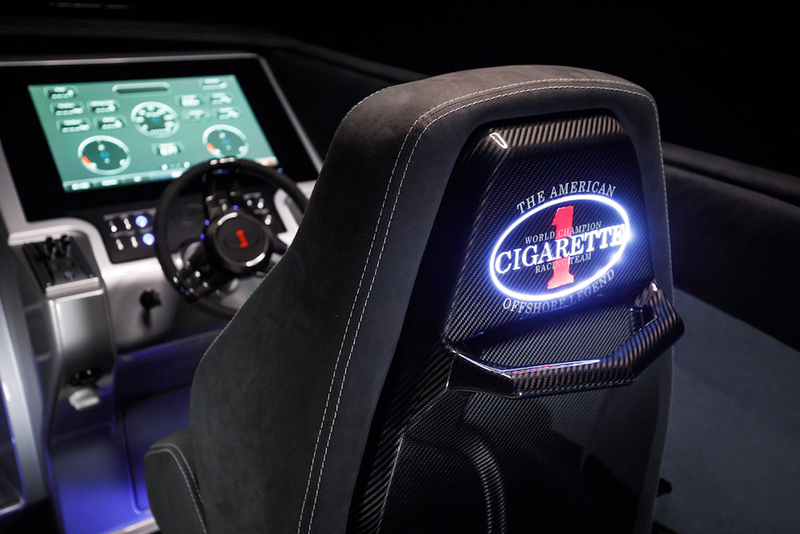 Although Mercedes-AMG and the Cigarette Racing team have released pricing of their custom creations in years past, this one will adhere to "If you have to ask, you probably can't afford it."